Norwich completed a superb second half comeback against Sheffield Wednesday after going 1-0 down from a Jordan Rhodes goal before the half time break. 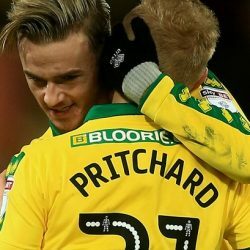 The game saw the return of star player Alex Pritchard after a lengthy spell on the bench from an injury he received in pre-season. 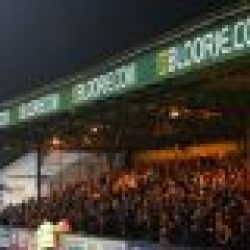 It was a much needed win for the Canaries which ended a long search for a win at home, stretching back to September. We hope that they can use this momentum to keep winning three points over the Christmas period and propel themselves back up towards the playoffs! The U’s suffered a 2-0 defeat after conceding a goal either side of the break at Port Vale. Both goals came from Cristian Montano and the game also saw the U’s reduced to 10 men after Uche Ikpeazu received a second yellow from referee Anthony Coggins. Cambridge will now face Newport County at home next weekend. Newport County one place and two points above the U’s in the league, so a win would be vital and see them leapfrog over their opponents. The Jockeys lost 4-1 at home which means over their last 10 league games they have gained just 11 points from a possible 30. We are hoping for a much better run over Christmas and into 2018!